In this episode, Manny Coats talks about getting your product shipped from your supplier and getting it to Amazon and other things to consider to ensure that your product does not get held up. What are the things do I need to look out for before paying my supplier? What are the Amazon standards when it comes to packaging? How long does it usually take to have a product manufactured and shipped? What other steps should I take while waiting for my product to arrive to Amazon? How many units of my product should I initially order? Should I use express air shipping or sea shipping for my product? Before you wire the money to the supplier from Alibaba always be sure the company name you’re wiring the money to matches the name of the company you’ve been negotiating with. If it doesn’t, be sure to contact Alibaba about the discrepancy and use Trade Assurance for extra protection. Check if your product is going to be in a box or a poly bag. If it’s in a box you’re OK. If it’s a polybag, make sure it meets Amazon’s standards. 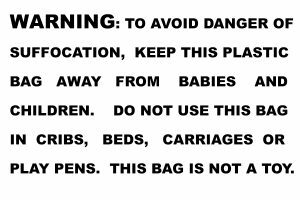 If the bag is over 5 inches wide make sure you put a suffocation label. If you’re importing from China, make sure the product has been labeled as MADE IN CHINA. 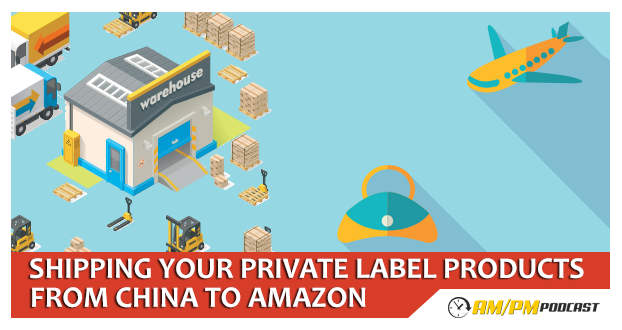 Make sure your product has a UPC if you’re going to be selling your products outside of Amazon. You don’t need a UPC printed on the product if you’ll only be selling on Amazon, although you will need the UPC number to get it listed. Amazon requires the FNSKU to be visible on the products. Amazon will provide you with a PDF file with these numbers; it’s recommended you have your designer incorporate those bar codes in the product’s packaging so you can save the costs of having Amazon apply the stickers for you. You will need to create a listing for your product on Amazon before you order the packaging from the supplier. Amazon will then provide you with the FNSKU and ASIN. You will need to give these to your supplier for the to apply on the packaging. It will typically take 15-20 days for the manufacturer to produce your products (longer on more custom orders), and it will take about 5 days to ship the products to you if you use express shipping. At this time you should also be optimizing your listing and making sure you have good titles, descriptions, bullet points, etc. An important decision you’ll have to make is how many products to order. Keep in mind that you’ll need at least an extra 50 to 200 units to give away or to sell at a deep discount in order to get a good number of reviews fast. Once you’re ready to ship your products to the U.S (or wherever your closest Amazon warehouse is), you can ship your products with express shipping, by air or by boat. Express shipping is the fastest, but most expensive. Shipping by boat is the most inexpensive, but it takes the longest. If you’re shipping by anything except express shipping, you might want to use a freight forwarding company to facilitate the process. We’ll cover freight forwarders in a future episode.